The philosophy beyond LMI weighbridges is to optimize the use of materials without compromising on strength. 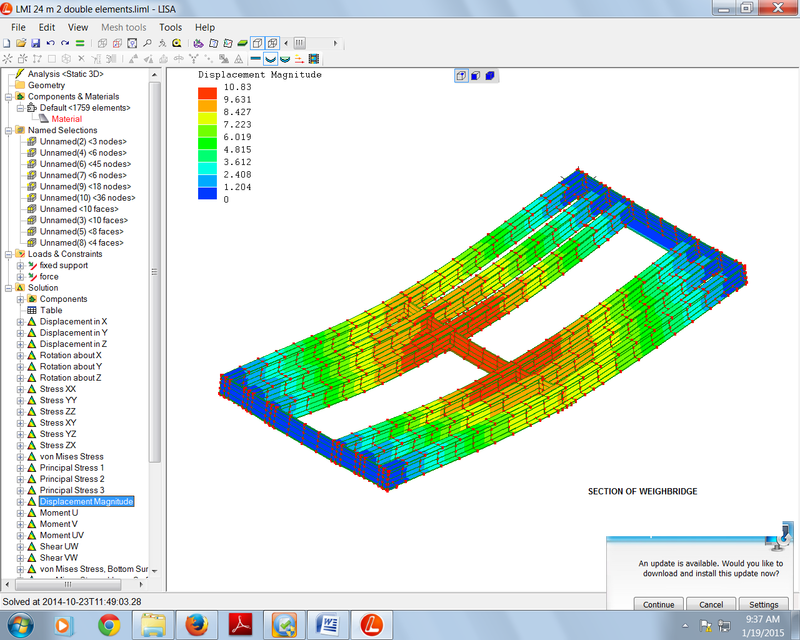 Accurate design, coupled with a thorough stress analysis, has allowed us to obtain structures which are at the same time light and robust. Since our weighbridges are mostly built on order, the customer is able to choose the size and the strength of the steel structure according to his needs. Other details that we offer as optional are the height of the weighbridge, portable access ramps, side guards, PC operation, solar panel powering, vehicle identification by means of tags, complete automation (unmanned weighbridge), booms and robots, remote maintenance management (E-box). Other options can also be arranged, such as portable weighbridges, or grid decks to allow grains to be discharged below the bridge. Digital loadcells are guaranteed to give accurate weighing every time, with uncompromised accuracy. With digital loadcells, loadcell failure results in no signal, so you know that repair is required. 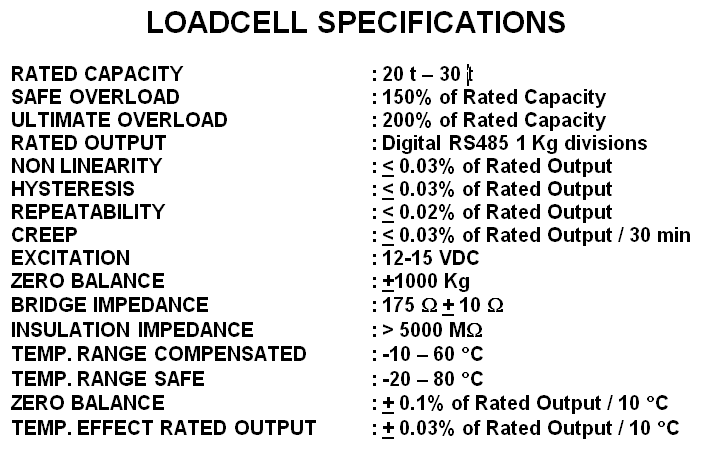 By using the “Diagnostics” facility present in our readout instrument, you can immediately detect which loadcell is faulty. On the contrary, weighing equipment with analogue loadcells, in case of failure of one loadcell will produce a normal ticket but with the wrong weight. This may continue for an extended period before it is discovered, resulting in a substantial loss for the weighbridge owner. 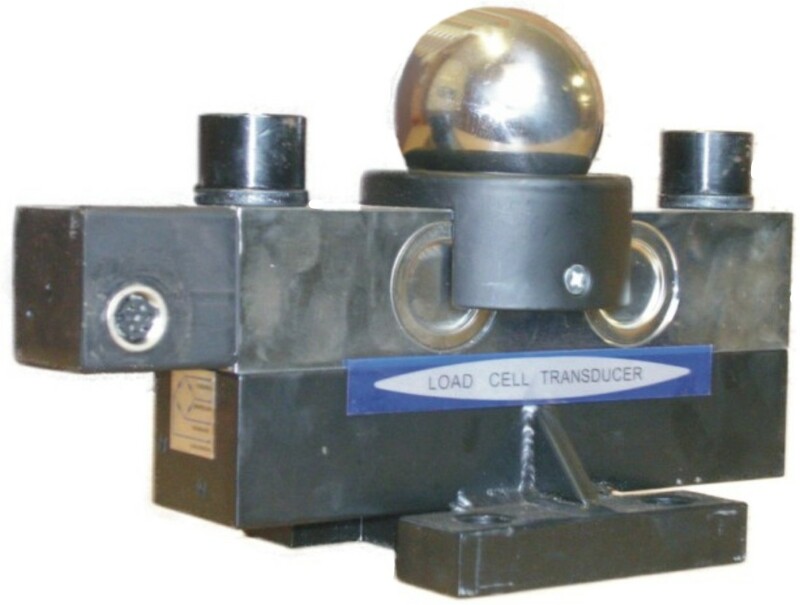 Another advantage of digital loadcells is that, in case of a loadcell being hit by lightning, generally it can be repaired in a matter of hours. 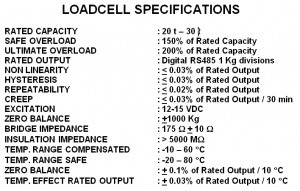 Analogue loadcells get completely destroyed by lightning, and they must be substituted. 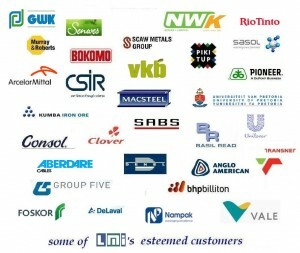 LMI builds road weighbridges, rail weighbridges and combination road/rail. – Error reporting on the weighbridge status. The weighbridge electronics (loadcells and readout instrument) are continuously monitored. In case of fault, the user can immediately detect where the fault has occurred, and when. 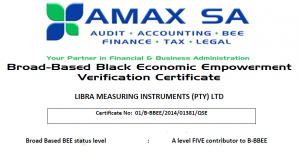 – It allows weighbridge traffic control by means of traffic lights and access booms. – It permits automatic truck detection by means of a tags or cards reader, thereby allowing unmanned weighbridge operation. – A virtually unlimited number of truck’s registration numbers can be stored into memory, and then recalled to automatically determine the payload by subtracting the tare from the gross weight. 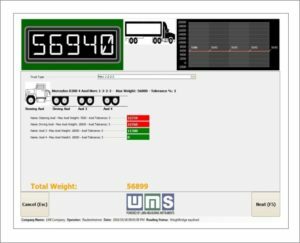 – By detecting the loads present on each loadcell, it allows to display separately the loads on the left and on the right side of the truck, making it possible to correct cargo load asymmetries. – In case of a multi-deck weighbridge or an axle scale, it detects each axle load and it compares it with the legal allowable limits. 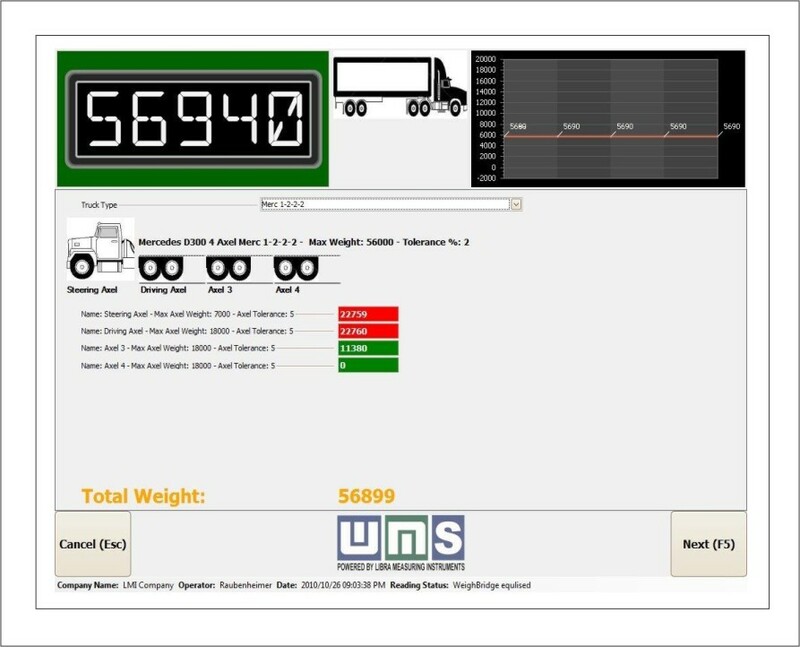 A sketch of the truck will appear on the screen, showing in different colours (green, orange or red) different axle conditions (under loaded, near the limit or overloaded). The LMI standard weighbridge most commonly used is 24 m long and 3 m wide. The structure is made of 4 modular sections 6 m long each. The strength in the longitudinal direction is supplied by 6 universal beams 254x146x31 kg/m which run along the full length of the bridge. The transversal strength is given by a number of 250×16 flat bars that cross the bridge at regular intervals. The top deck is made of 8 mm or 10mm steel plates. The standard height of the deck is 350 mm from the floor. The bridge is equipped with 10 digital load cells. 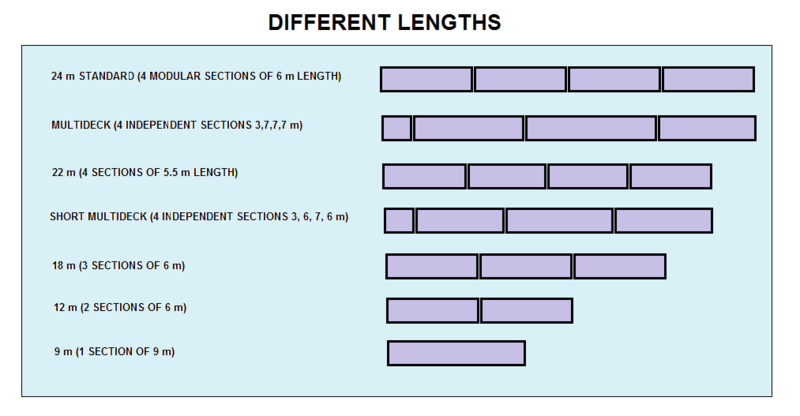 However, it is possible to order any other length, width or height that may be required. It is possible to change the width (normally 3 m) according to any requirement. 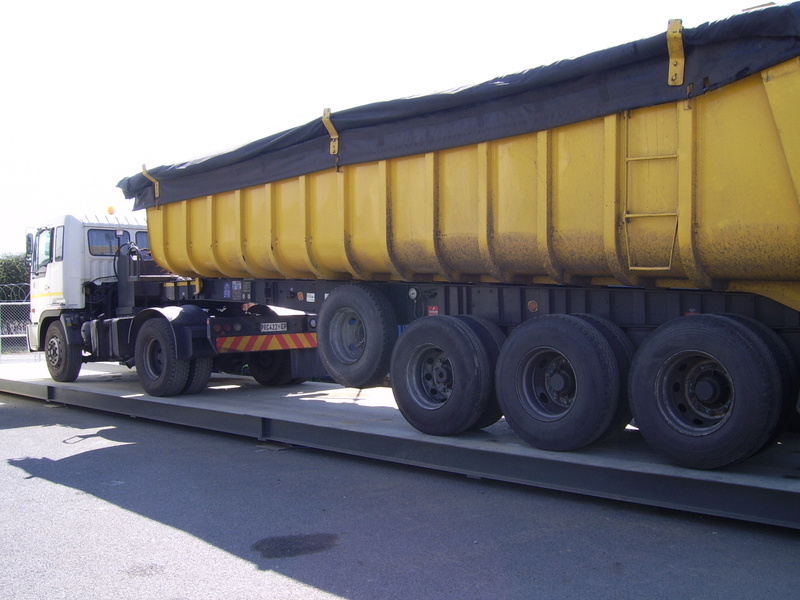 We can produce weighbridges varying between 3 and 5 m width, depending on the type of vehicle to be weighed. Advantage of the High Profile is that it is easy to clean underneath (clearance of 230 mm between weighbridge and floor). It can be advisable in rural areas, where grass can be expected to grow underneath the bridge. Disadvantage is that the ramps must be made 500 mm high, and therefore, in order not to be too steep, at least 5 m long. Advantage of the Low Profile is the lower and shorter ramps. Disadvantage is that it is more difficult to clean under the weighbridge (the clearance between the bottom of the weighbridge and the floor is 90 mm). The In Pit weighbridge does not need ramps. It allows vehicles to drive across the weighbridge area. It requires a very efficient drainage system, since it is not advisable for the load cells to operate continuously under water. For particularly high loads the weighbridge gets entirely redesigned. The deck plates can reach thickness up to 16 mm, and different types of beams are used. In the Multi Deck weighbridge the deck is divided into 4 independent sections, which allows to weigh separate parts of the vehicle. Each section rests on 4 load cells, for a total of 16 load cells. This weighbridge allows to obtain group axle loads (single axles, tandems, triplets) and therefore to avoid fines for overloading. The software allows to print the single weights by axle or axle group, as well as the total weight. It also compares the actual axle loads with the ones allowable by law, triggering an alarm in case of overloading. The screen displays the complete truck layout with the group axle loads. LMI standard rail weighbridge is 15 m long. Capacity is 100 tons. The 8 load cells are placed under the steel structure, directly underneath the rails at intervals of 5 m.
The weighbridge is positioned into a pit 15 m long, 1.5 m wide and 1.5 m deep. 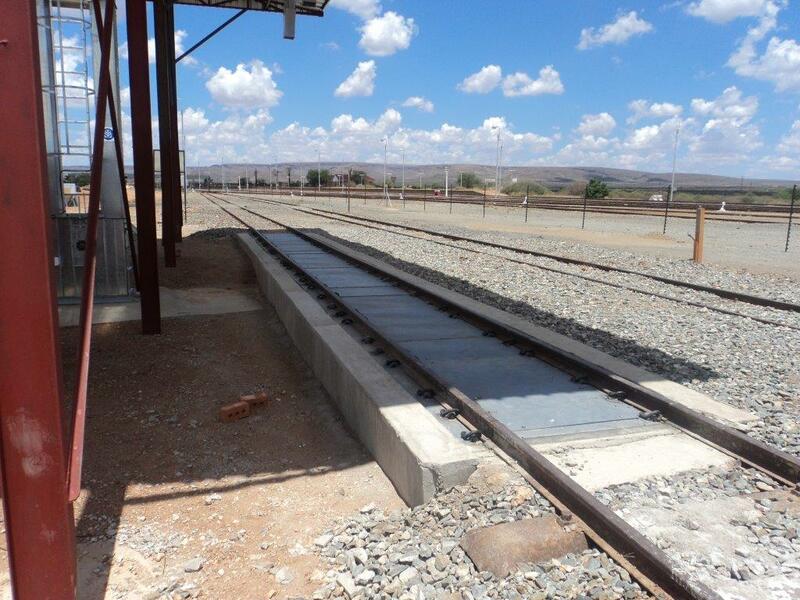 The LMI road-rail weighbridge is 24 m long and 3 m wide. The rails run in two grooves 100 mm wide and 24 m long, and the top of the rails is level with the top deck. Capacity is 100 tons. The 10 load cells are placed under the steel structure at intervals of 6 m. The weighbridge is positioned into a pit 24 m long, 3 m wide and 1.2 m deep. 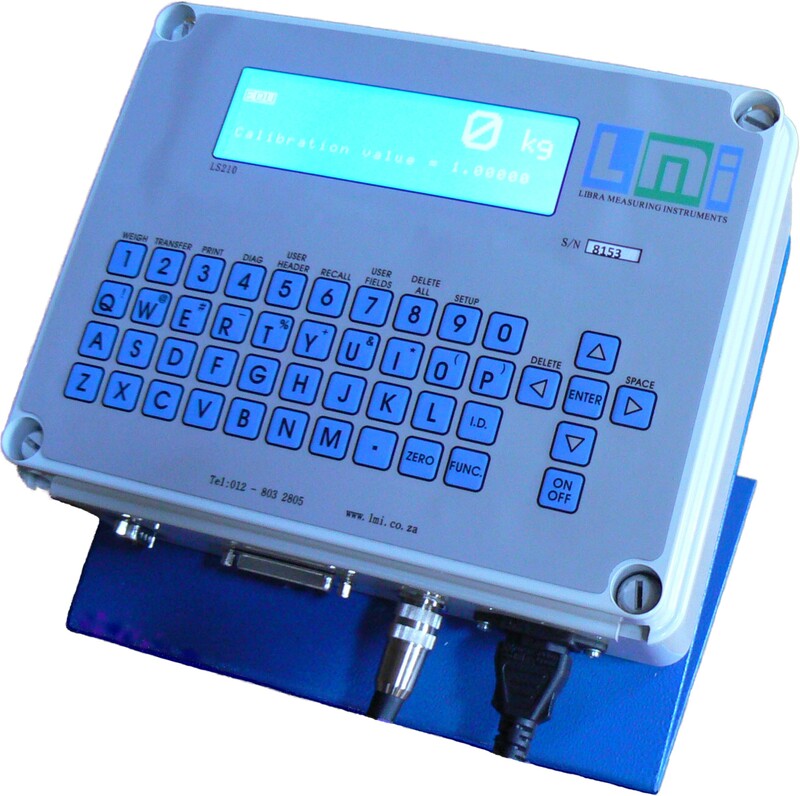 The LS210 readout instrument is connected to a computer, which can record all the weighing operation data. The software allows to control the weighbridge and printer directly from the PC. 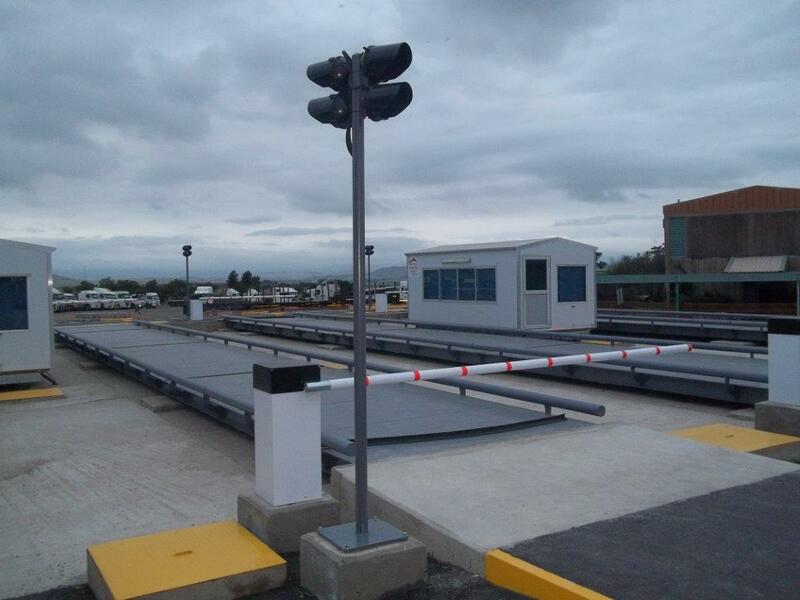 This weighbridge is unmanned and electronically controlled. A card reader on the side of the bridge identifies the vehicles accessing the weighbridge. The vehicles are equipped with tags. A robot will indicate the driver that his vehicle has been identified and the weight has been taken. Automatic invoicing is also possible. It allows the weighbridge to operate in areas without electric power. In this case the LS210 instrument is provided with a tally roll printer which can be operated with 12 V.
Alternatively, it is possible to use a PC + printer by increasing the solar panel area. If the weighbridge is malfunctioning, a message is automatically sent via SMS to the operator’s cellular phone. A report is also sent via Internet to a remote PC. The user can log onto the relevant Internet site and download all the weighing information. This weighbridge does not require concrete foundations and therefore it can be occasionally moved to different places. The foundations are substituted by spreader plates or concrete boxes, and the ramps are made out of steel. It can be installed on concrete or tar surfaces or even ground, subject to sufficient ground load-bearing capacity.